Sprycel (Dasatinib) is a cancer medicine that slows the growth and spread of cancer cells in the body. This is used to treat a type of cancer called Philadelphia chromosome-positive chronic myelogenous leukemia (CML). This is used or children and adults. This medication may also be used to treat Philadelphia chromosome-positive acute lymphoblastic leukemia (ALL) in children and adults. How does Sprycel (Dasatinib) work? Sprycel (Dasatinib) is classified as kinase inhibitors. Kinase inhibitors prevent the development of tumors. It is by decreasing the action of proteins that control the cell division, survival, and growth. These proteins are usually present in larger numbers or are more active in cancer cells. By decreasing the action of these proteins, survival, and growth of cancer cells are reduced. 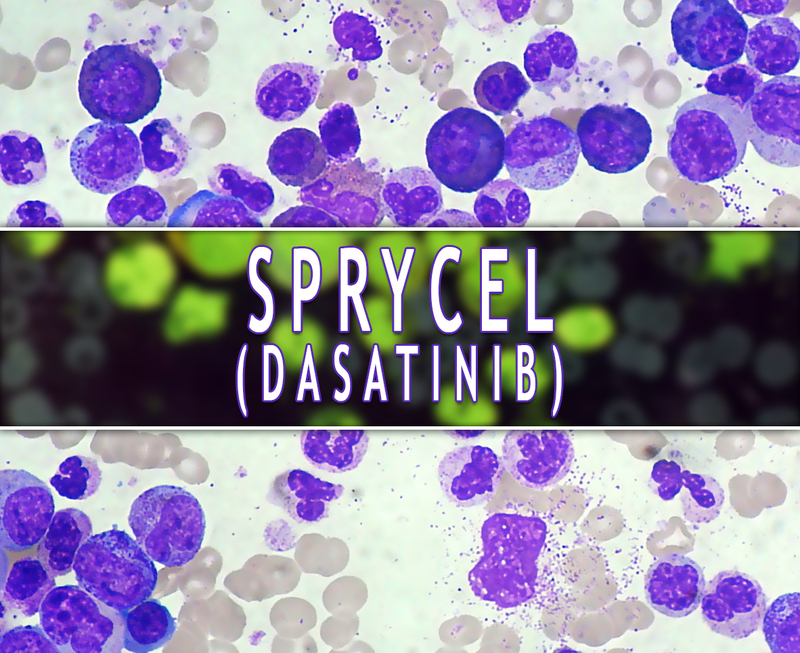 Sprycel (Dasatinib) can lower blood cells that help your body fight infections. This is available as tablets with 20mg, 50mg, 70mg, and 100mg for oral administration. This medication is white to off-white and film-coated containing Dasatinib. The Food and Drug Administration (FDA) approved this in 2006. How to use Sprycel (Dasatinib)? The recommended dosage for this depends on your medical condition and response. Sprycel (Dasatinib) is usually taken 100-180mg once a day. It is to be taken by mouth and you may take it with or without food. Take it as a whole do not break or chew the tablet. Do not increase your dose or use this drug more often or for longer than prescribed. Use this exactly as it is directed by your doctor. Take it at the same time each day. To avoid some complications, do not twice the prescribed dosage. What are the side-effects of Sprycel (Dasatinib)? Inform your doctor if you have any current medications like vitamins or herbal supplements. Inform also your doctor if you have any allergies or medical history. This is only given to pregnant women when clearly needed. If you are breastfeeding, consult your doctor first.